Nothing brings joy to a hacker’s heart like taking a cheap gizmo and making it useful. 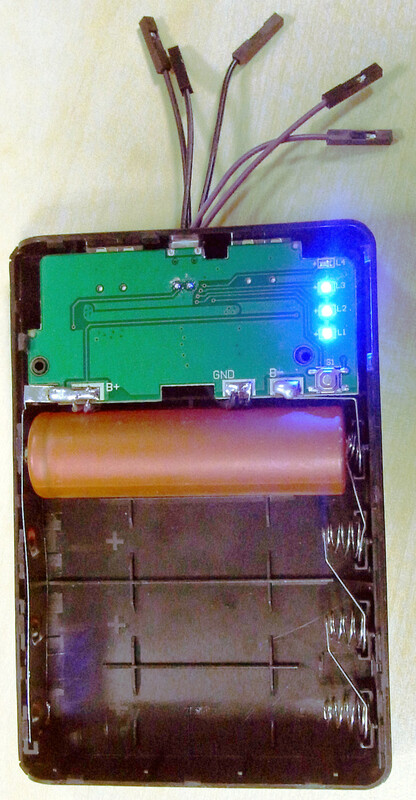 Over at Hackaday.io [AndyHull] popped open some cheap LiPo battery power packs to see if he could power a Canon Powershot camera. The entire shebang would be left in the wilderness for photography so keeping it inexpensive was a big goal since it might be destroyed or lost. The power packs [Andy] looked at have a TP4221 controlling the charge cycle for up to four 18650 LiPo cells connected in parallel. The controller also boosts the voltage to 5 volts for one or two USB ports while providing automatic shutdown if the LiPo cell voltage drops below 3.2v. Below that voltage the cells can be damaged and might possibly cause a fire. The packs [Andy] used also had a torch output to drive an LED almost directly from the cells. That output is a nominally 3.8 V at 100 mA which is just what he needed to power the Canon Powershot. 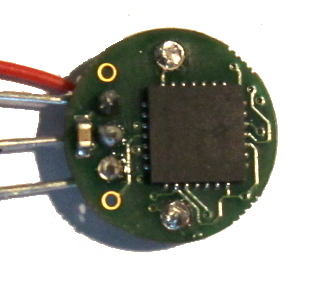 It could be used to power small micros or other low power devices. The LED was removed and replaced by a connection to outside the pack. The torch output is triggered by two quick presses on a switch that was also replaced with a connector to allow remote control. If you’re looking for powerful battery options, give LiPo a try and have a look at [Andy]’s LiPo battery safety issues post, also on Hackaday.io. For a broader LiPo overview, see this obsessive rundown of various batteries. There’s less than a month until the next Star Wars is released, and consequently a few weeks until amateur propmakers and cosplayers go insane fabricating their own lightsabers with lightsaber cross guards and rolling robots. Until then, Fallout is pretty cool and [Bill] is here to give us an introduction to prop making with one of the defining objects of this post-apocalyptic universe. He created a real life copy of a Nuka Cola bottle and created a great introduction to resin casting in the process. As with all proper part making endeavours, this project began with getting reasonably accurate models of the object to be copied. In Fallout, we’re lucky enough to have a way to look at a specific object while zooming and spinning around it, giving [Bill] the basic shape. The size was rather easy as well: all bottlecaps are the same size, so [Bill] just scaled the model to that. With the model created and the part printed out, assembled, and finished, it was time to create the mold. [Bill] used a two-part silicone mold for the basic shape. The actual casting was done by rolling around a little resin on the inside of the mold. There’s no need for a solid, bottle-shaped block of resin; bottles are hollow anyway. There are a few neat tricks [Bill] has up his sleeve, including coating the inside of the mold with aluminum powder and using a vinyl cutter to get the labels and logos exactly right. The finished product turns out great, perfect for leaving in the Wasteland for 200 years until the Sole Survivor stumbles upon it. “If I could save time in a bottle…” it’s not just an old song, it’s a passion for many photography hackers. Time-lapse photography is a way to show the movement of time through still images. These images are animated into what essentially is a video recorded at a super low frame rate. We’re talking one frame per minute or slower in some cases! The camera doesn’t have to be still for all this, but any motion must be carefully controlled. This has led hackers, makers, and engineers to create a myriad of time-lapse rigs. This week’s Hacklet is all about some of the best time lapse projects on Hackaday.io! We start with [Swisswilson] and the simply named Timelapse rig. To say this rig is beefy would be an understatement. All the aluminum parts, with the exception of the gears, were machined by [Swisswilson]. Two Nema-23 Nema-17 motors are controlled by Sparkfun Easy Stepper Drive boards, while an Arduino Micro serves as the controller. The electronics are all housed in a sturdy box which also serves as a remote control. A joystick allows pan and tilt to be manually controlled. The bombproof construction is definitely a help here, as [Swisswilson] is using this rig with DSLR cameras. Combined with a lens, these setups can reach a pound or two. Next up is [minWi], who put their script-foo to work with raspilapse. Raspilapse automates the entire process of taking photos, assembling them into a movie, and uploading to YouTube. The hardware is a Raspberry Pi Model B, with a RasPi Camera. The Pi shoots images then uploads them to a Virtual Private Server (VPS). [minWi] used an external server to save wear and tear on the Pi’s SD storage card. At the end of the day, the VPS uses ffmpeg to assemble the images into a video, then uploads the whole thing to YouTube. We’re betting that with a few script mods, this entire process could be run on a Raspberry Pi 2. If you’re really worried about the SD card, a USB flash drive could be used. [Andyhull] takes us down to one frame per day with Sunset and Sunrise camera controller. [Andy] wanted to get shots of the sunrise every day. Once converted to a video, these shots are great for documenting the passing of the seasons. He used a Canon point and shoot camera along with the Canon Hack Devleoper’s Kit (CHDK) for his camera. The camera has its own real-time clock, and with CHDK, it can be programmed to shoot images at sunrise. The problem is power. Leaving the camera on all the time would quickly drain the batteries. Arduino to the rescue! [Andy] programmed an Arduino Pro Mini to turn the camera on just before sunrise, then shut it back down. The standby power of a sleeping ATmega328 is much lower than the camera’s, leading to battery life measured in weeks. Finally, we have [caramellcube] who added data to their time-lapse photos with Portable Observation Device (POD). POD was conceived as a device to aid paranormal investigators. The idea was to have a device that could take images and record data at a set interval from within a locked room. Sounds like a job for a Raspberry Pi! [caramellcube] started with Adafruit’s Raspberry Pi-based touchscreen camera kit. From there they added a second board controlled by an Arduino Nano. The Nano reads just about every sensor [caramellcube] could fit, including humidity, air pressure, magnetic field strength, acceleration, light (4 bands), sound, and static charge. The Nano allows [caramellcube] to connect all those sensors with a single USB port on the Pi. We’re not sure if [caramellcube] has found any ghosts, but we’re sure our readers can think of plenty of uses for a device like this! If you want to see more time-lapse projects, check out our new time-lapse projects list! If I missed your project, don’t be shy, just drop me a message on Hackaday.io. That’s it for this week’s Hacklet. As always, see you next week. Same hack time, same hack channel, bringing you the best of Hackaday.io!